As a fitting tribute to a lasting legacy of space exploration, Nasa should land one of the old orbiters on the moon. Also, in the case of global or solar system catastrophe, at least there would be a lifeboat available. Huh? The Space Shuttles never went to the moon. Their boosters and engines were just enough to get them to low earth orbit. Even if the shuttle orbiter did get to the moon somehow, it probably couldn’t land there gently. They landed in earth’s atmosphere using their wings. No atmosphere = crash. Yep. Even Ralph from the Simpsons would say it was “Unpossible”. The shuttle… gets a robust thumbs up for what it WAS able to accomplish! But sadly, a thumbs down for the unrealized promise of an inexpensive way to get to LEO. It cost around $! billion dollars for every launch! The term ‘boondoogle’ comes to mind here…. or pork? A bit of history? The original shuttle designs were for a MUCH more robust system. 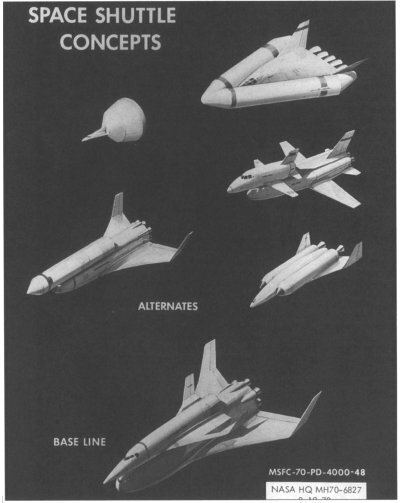 The booster stage was envisioned as a reusable giant hypersonic winged plane/launch platform. These concepts were dropped as the price for building those complex booster stages soared. Then President Richard Nixon put an end to the ‘dream’ of an inexpensive way to LEO when he urged NASA to ‘rethink’, then downsize the space shuttle plan. What we got in return was a much less capable and far less robust design. This design left the main tank unusable and discarded – to be incinerated upon re-entry. And one that used solid rocket boosters (Thanks also to the efforts of ATF and Sen. Orin Hatch) to enable orbital speeds. And also, I think it was irresponsible to not reuse the existing shuttle main tanks on orbit. Boosting them high enough to sustain orbit, then refitting them into usable habitat, similar to Sky Lab’s design, was NOT that ‘far out’ of an idea. Oh well.. live and learn.. tvist and turn! The dividends of creating a hypersonic space plane/booster, would have paid for themselves, over time, considering the billion dollar a ‘pop’ shuttle flights… Short sighted economics are still en vogue… oui? it’s going to make a stop in my hometown El Paso on Sept 16 Can’t wait to see her!!! Previous PostPrevious Is Triton Hiding an Underground Ocean?